Not all heroes wear capes. Well, Reliant Man does. But the rest of our guys just so happen to make up for it by knowing a thing or two about AC repair and, more importantly, customer service. 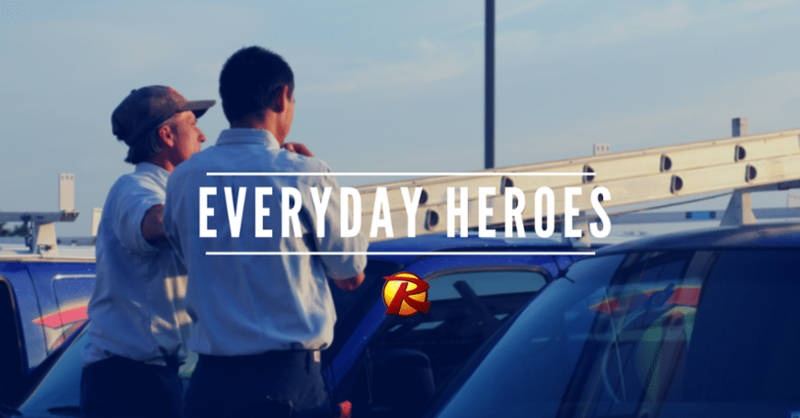 Meet Charles, Juan, and Matt, just a few of our everyday heroes around here at Reliant Air Conditioning, and they want you to know that there’s an actual smile on the other end of the phone when you give us a call. We don’t just go above and beyond here at Reliant Air Conditioning. We love going above and beyond. We want our customers to call us, and we want them to keep calling us when they need us. Those relationships we’ve formed with our customers over the years is what keeps us setting and resetting the bar, year after year. Our guys will work from sun up to sun down, and even at the end of a long day they’re still willing to go the extra mile. The other guys can say that. But will they actually do that? The summer may be winding down, but if you find yourself in need of air conditioning repair or air conditioning maintenance, we want to take your call. Out of all of the AC repair companies in the DFW Metroplex, we’ve been proudly rocking our gimmick-free status since 1983. Need to schedule with us? Click below!